During our “non-holidays,” it is NOT necessary to make a deposit on your room. But if you do not make a deposit, we will guarantee the room for you only until 5pm. At which point if we have not heard from you by phone, email or text you will lose the guarantee on your room and it may be given to someone else. For reservations over holiday dates, deposits are required. 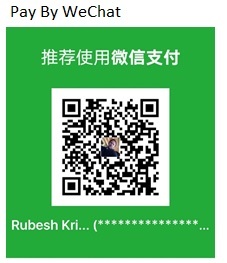 Scan the following code to pay your deposit via WeChat. WeChat and Alipay are our only current accepted methods of payment other than cash. If you are unable to pay via WeChat or Alipay, we have heard from other foreign travelers that this website is useful: https://www.vpayfast.com. 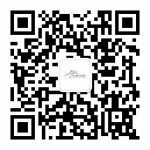 If you have any questions about WeChat or Alipay payments apart from the vpayfast website (we aren’t too familiar with it, so wouldn’t be able to help), please contact us. Although PayPal is convenient for most foreigners, it is not convenient for businesses in China. We prefer not to use this method of payment unless absolutely necessary.